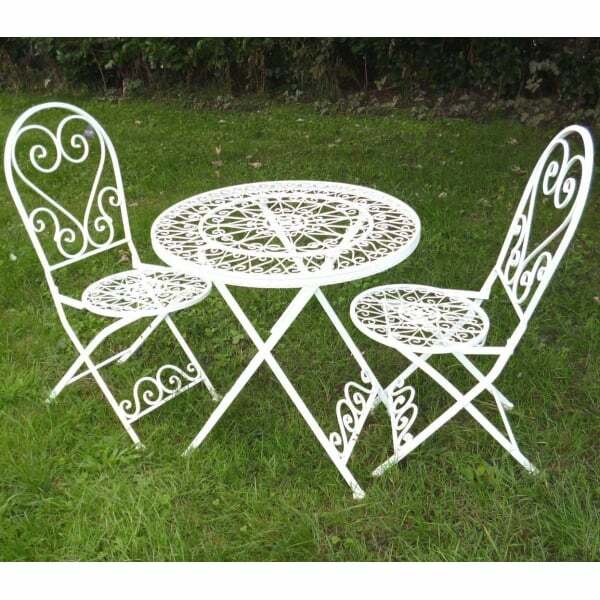 Ascalon Lavenham Bistro Set: The Ascalon Lavenham Bistro Set is a beautifully designed set that features heart shaped swirls for a romantic feel. The intricate metalwork is strong powder-coated steel, meaning that the set is resilient against weathering and suitable for use year-round. Hand-finished in an antique cream wash, the set is made to have a vintage feel with its traditional elegance and timeless design. Both the chairs and the table are foldable allowing easy storage, and the set is light enough to be easily moved when needed. This strong, versatile set is sure to add value and function to your outdoor area. No assembly required. Delivered promptly to your address.